You may recall that SCOAN claimed last year the President of Sierra Leone Dr Ernest Bai Koroma requested the anointed water as a cure for the outbreak of Ebola in their country. 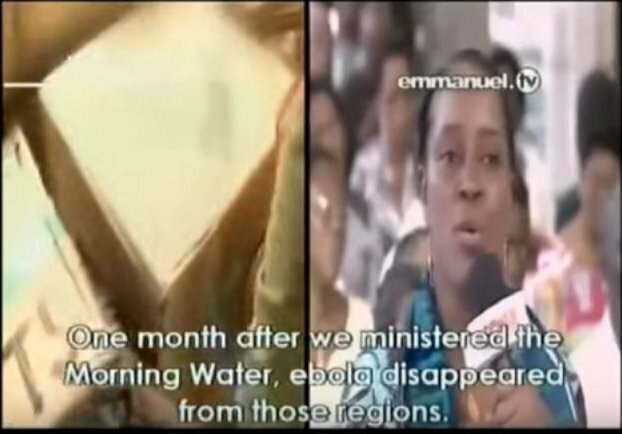 During last Sunday’s SCOAN service, a civil servant from Sierra Leone called Mrs Fatmata Kargbo testified to the success of the anointed water in curing Ebola in their country. They also criticised health organisations for hindering their attempt to spread the anointed water cure, claiming that without the obstacles Ebola could have been over immediately. See the video below, the relevant section starts at around 8:45. 11:11 “Evangelist” Chris Tonge: You mean to say that you were sent by the president of Sierra Leone to actually receive the anointed water sent by “Prophet” TB Joshua to your nation to fight the scourge of Ebola? 12:15 – They faced many obstacles from the time the plane landed, people and organisations wanting to prevent it being used, but the President allowed it (13:25). So now we have second confirmation that the request came straight from the president, and after delivery he authorised its distribution. If this is true, that should be of grave concern to citizens of Sierra Leone and NGO’s like the WHO. If it’s false, Dr Koroma has some civil servants to fire. This claim is incredibly damaging to his reputation and the reputation of his country, and it’s being broadcast on one of Africa’s biggest “Christian” TV channel. 15:40 – if we were allowed to use the water as the prophet directed, it would have been over right away. 17:20 – people said there wasn’t any scientific proof that it cures Ebola, but we pushed through. 17:30 – since that time, 16th August we have been monitoring to see if there are any improvements. One month later, what do we see? No regions are fairing any better, but two regions without active cases in August now have active cases. In other words it’s got worse. What about a month later? 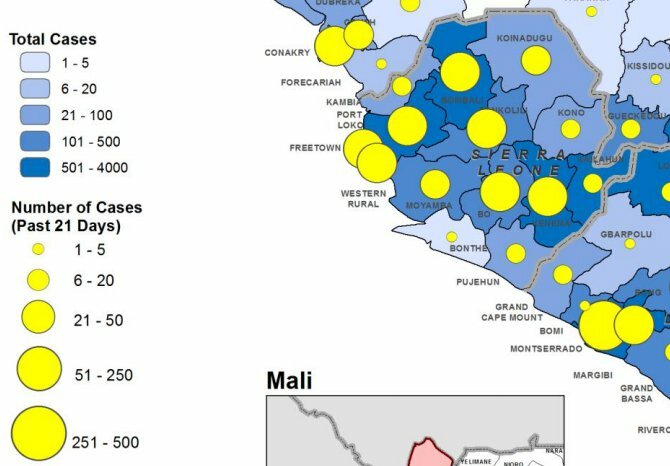 On October 31st we can see that every single region has active cases of Ebola. So what we have from SCOAN is a complete lie about the efficacy of their anointed water against Ebola, and an insult to the medical teams who so bravely risked their lives to eradicate the disease. We’re used to lies from SCOAN, but these kind of lies are worse – they are literally deadly. Ebola can be relatively easily contained when correct practices are observed, the promotion of “water cures” is the highest degree of irresponsibility. 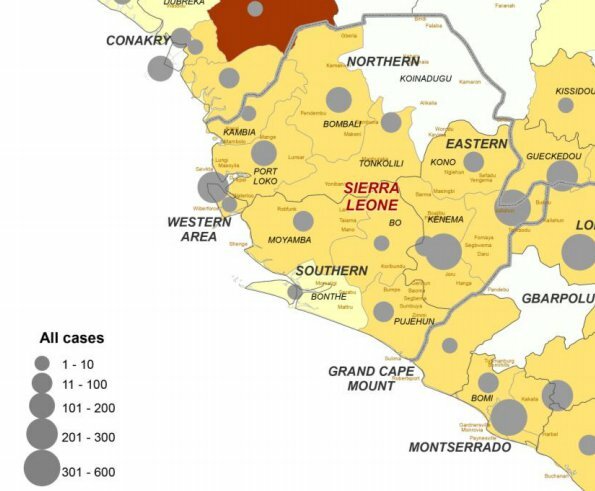 There should be no claims about Ebola cures without genuine evidence and research backing them up, the testimony of one woman (contradicting WHO data) does not come close.